Just feel it, critisize, comment and feel free to state ur opinion. 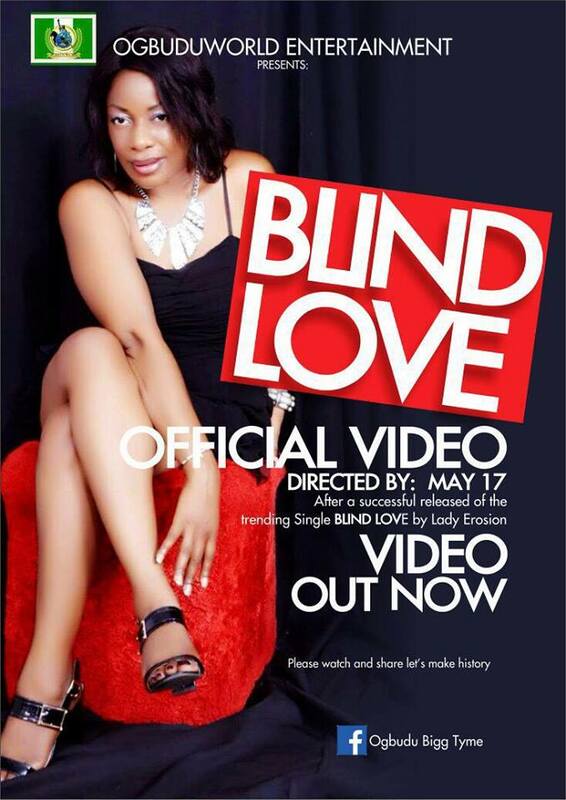 After a successful released of the trending audio song BLIND LOVE by Lady Erosion# OFFICIAL VIDEO directed by May 17 for Ogbuduworld entertainment, Let's make history together as we watch and share with friends.LEGO.. On YOUNGBLIZZYMUSIC.COM 05/05/2016. Sunkanmi is back with a melodious music for the soul, calming your frayed nerves, lyrics flowing like a river, melodies of a bonafide diva. 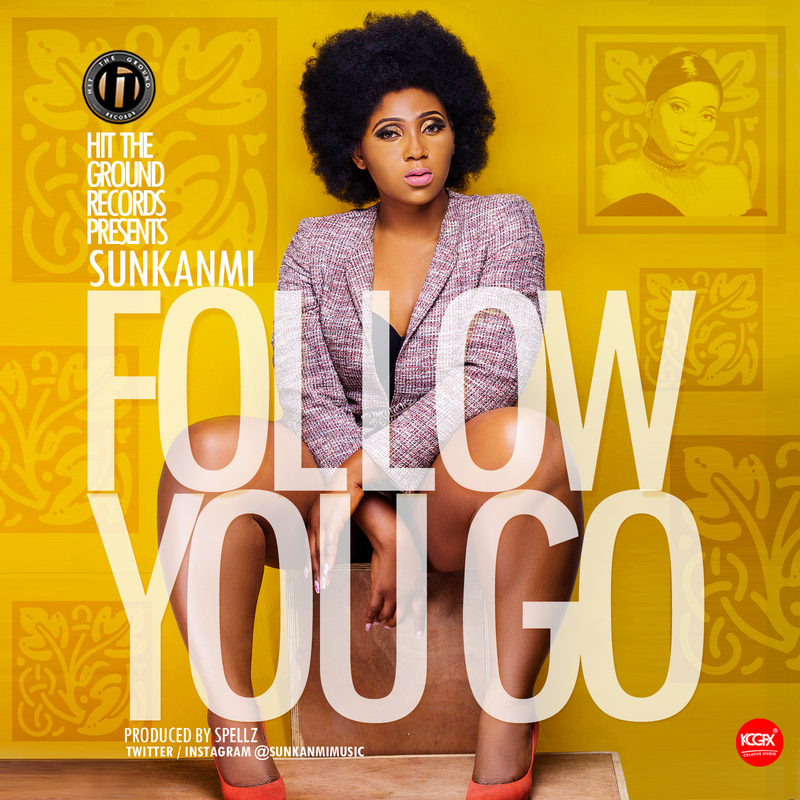 Follow You Go is undoubted the hit of the year from the Hit the records first lady, Sunkanmi. Produced Spellz. 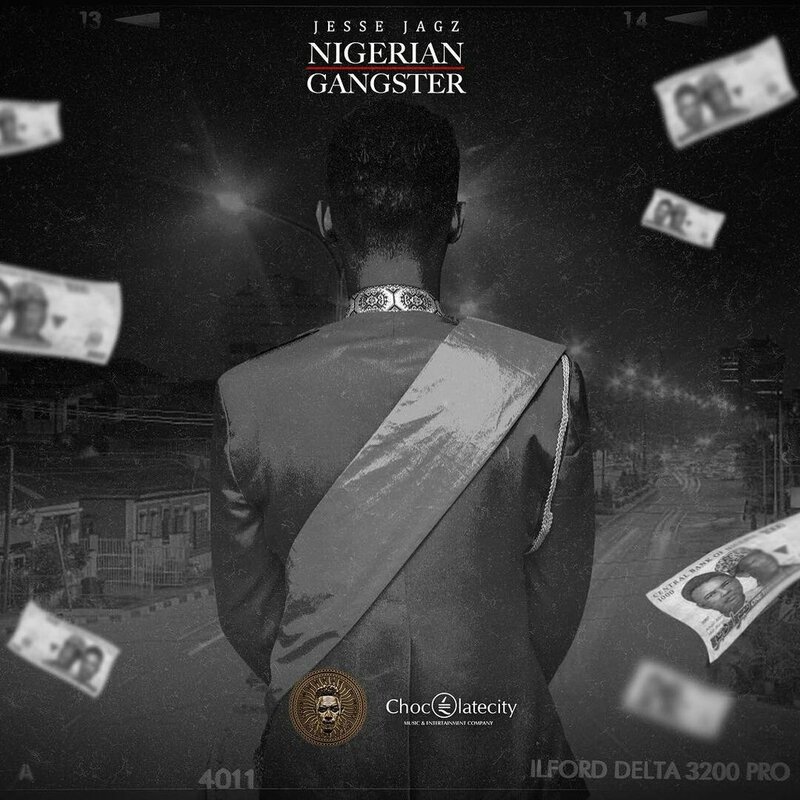 “The super-talented Chocolate City rapper and the Jagz Nation Emperor, Jesse Jagz, is out with a brand new freestyle with matching visuals to ‘Nigerian Gangster’ produced by ShadyBizniz and directed by UJ Pro Films. Buvic Assorted is one of the modern highlife/RnB musician that kept his uniqueness strong when it comes to vocals. 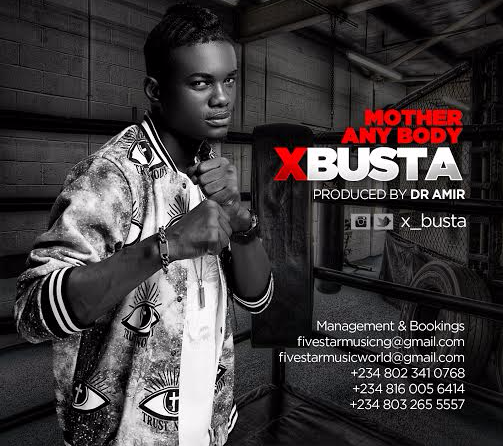 He hails from Enugu state Nigeria, and like other eastern musicians, he mingled his way out to Lagos to improve in his career internationally after a huge success of his first hit single ‘Kporonge’, which was released few years ago. Assorted is back again with another smash tune CHIDINMA featuring a young Rapper & OAP MC Swaga .Song produced by Jaynunny and Video Directed by Iyke Jojo(Dominant Picture). 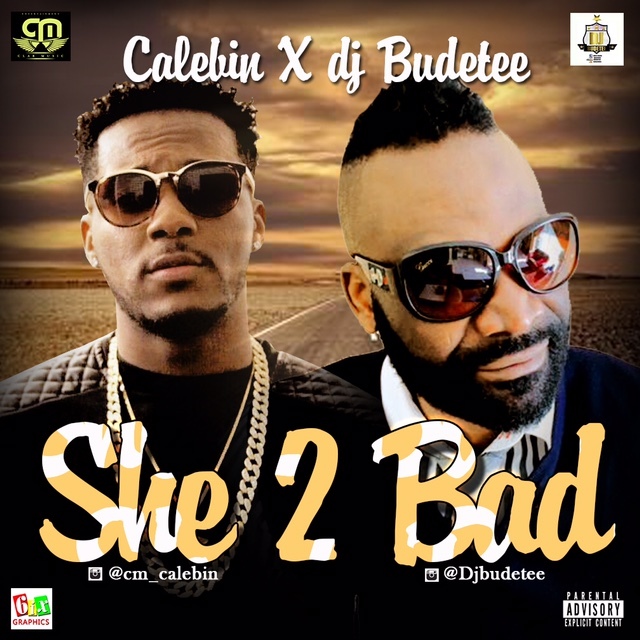 Baddest EU collabo of the moment "she too Bad"Calebin ft Eu baddest deejay Budetee, dropping soon. 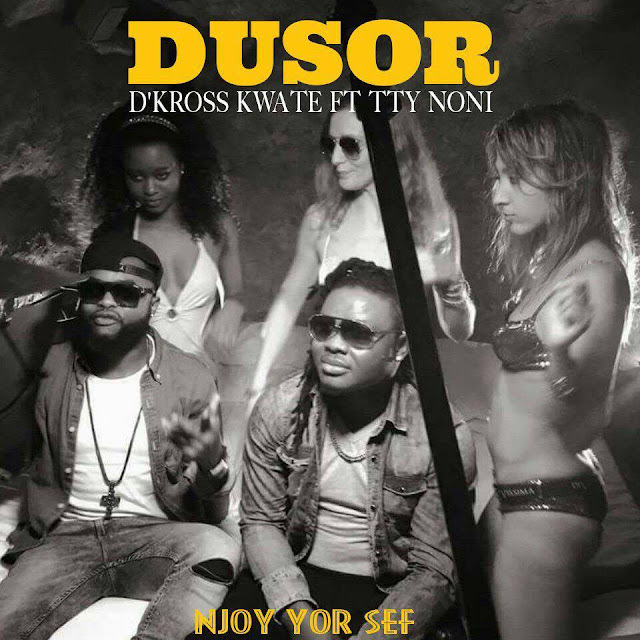 Kwate records ready to drop another block buster hit, DOSOR, ft TTY, a follow up to two of his other hits Kwate, kwate master is a Nigerian based in Malaysia, busting Nigerian music scene American chat and Asia. Making Africans proud, kwate has travelled all over Europe rocking shows in Europe, Asia and America, promoting his hits track, this time he has promised his fan that this new drop will be another hit, this track is expected to hit the air waves on the 20th of May. Twitter: Dkross_kwate Snap Snapchat: DkrosskWate. 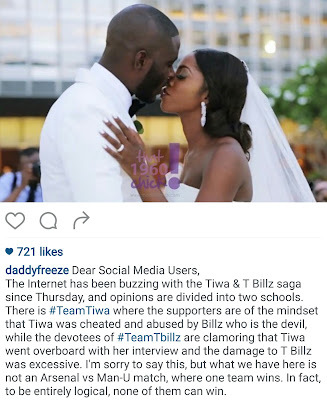 The Internet has been buzzing with the Tiwa & T Billz saga since Thursday, and opinions are divided into two schools. There is #TeamTiwa where the supporters are of the mindset that Tiwa was cheated and abused by Billz who is the devil, while the devotees of#TeamTbillz are clamoring that Tiwa went overboard with her interview and the damage to T Billz was excessive. I'm sorry to say this, but what we have here is not an Arsenal vs Man-U match, where one team wins. In fact, to be entirely logical, none of them can win. Sir Isaac Newton's third law of motion, states that "for every action, there is an equal and opposite reaction" and if used as a reference, we will end up with a constant chain of action-reaction scenarios, which is the perfect formula for a lose-lose situation. If you really love Tiwa, you won't want the father of her first son to be dragged in the mud, so stop celebrating his pain. I read today, that Banky's mum kicking Billz out of Banky's flat, as an aftermath of Tiwas interview. If you think Tiwa holds the Aces now, think again, because a gentleman called me earlier today, introducing himself as a senior advocate of Nigeria (SAN), and that he want to file a lawsuit against Tiwa on Behalf of TBillz, sighting character assassination and demanding a scary amount of money in punitive damages. He went on to say that the destruction to Billz reputation is irreparable. He went on to inform me that legally, the onus would be on Tiwa to prove that he actually used the drugs which won't be an easy task. I had to plead with him for almost an hour before he could change his mind. In the same vein, if you are a die hard Billz fan damaging Tiwa's reputation won't help him as she remains the mother of his son Jamil. Tiwa is also an important factor in the determination of Jamil's moral upbringing, as he would be in her custody till he attains majority. Whether we accept it or not, Tiwa and TBillz are both victims here. Therefore, the ONLY winning team is #TeamJamil and for this team to win, both his parents have to be respected and prayed for. President Paul Biya of Cameroon and his wife Chantal, will begin a two-day state visit to Nigeria today May 3rd. 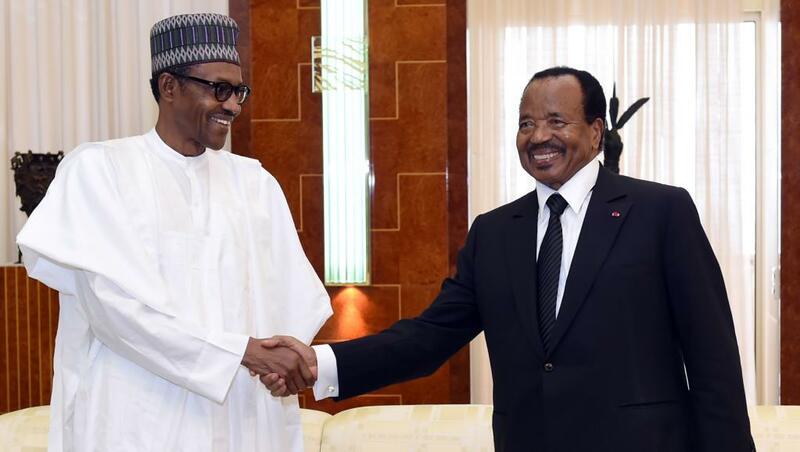 ‎Biya and his delegation will be revived by President Buhari at the state house Abuja. During their meeting, both presidents will discuss on issues of common interest to Nigeria and Cameroon, including ongoing bilateral and regional cooperation against terrorism, violent extremism and cross-border crimes. In an exclusive tell-all interview conducted by Thisday journalist, Azuka Ogujuiba, an emotional Tiwa Savage opened up about the problems in her marriage with her husband, Tunji Balogun. 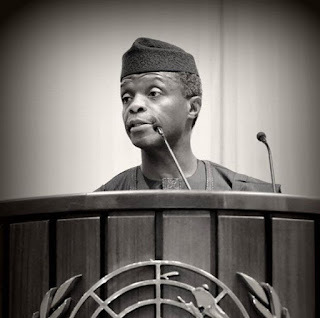 "Nigeria lost about $15B to fraudulent and corrupt practices in the security equipment spending during the last administration, Vice President, Prof Yemi Osinbajo, SAN, has disclosed, even as he spoke of hope that the implementation of the 2016 budget would commence soon. "By the grace of God in the next few days we will begin the implementation of one of the most ambitious budgets in our history. Ambitious not just in its size but more in its broad range of fiscal and other socio-economic policies," according to the Vice President. The Vice President spoke today at the book presentation of the Ibadan-based elite group, House of Lords, which just published an indepth analysis by different experts titled "Nigeria: The Challenges of Growth and Development, " at the University of Ibadan. While observing that the Buhari presidency has kept on a sustained fight against corruption, the Vice President said the country simply cannot sustain the shocking level of public sector corruption in particular. Said he: "When you look at the sheer amount of money that have been embezzled, the sheer amount of money lost from any of these various cases of corruption, you will find that far too much has been lost. " Continuing he disclosed that "it was discovered a few days ago that the total amount of money lost just to corruption in part of...and provision of security equipments in the military is closer to 15 billion US dollars." While the nation's foreign reserves is now around about $27B, Prof Osinbajo, driving home the stark significance of the such corruption, noted that the $15 billion figure "is more than half of the current foreign reserves of the country." He then told the audience made up of top Nigerian elites drawn from academics, business and the professions that what the Buhari presidency is "trying to do is to ensure that there are consequences for corruption and we try to send a message that anyone who is found to have been corrupt would not only dislodge the property they have stolen but will also pay for it in terms of the sanctions of the law." According to him, "I believe strongly that it is important to send a message that no public officer can steal the resources of this country and expect to escape. I hope the message would be loud and clear and it will inform behaviour in the future." Citing the example of Singapore to back up his submission, the VP noted that the reason why the "tiny, resourceless island is richer than most of sub-Saharan Africa with its vast resources is values: hard-work, integrity, innovation promoted by a committed elite. Thus the custodian elite especially in largely poor and illiterate societies has a huge responsibility." He said that responsinility is what he called "The burden of privilege." He explained: "I have argued elsewhere that the privileged, or the elite both individually and collectively have a responsibility, an obligation to society, to plan it, organise it, order or reorder it and above all to make sacrifices for it, for the maximum benefit of all." Continuing he added: "This is the burden of privilege. It is their -elite-obligation individually and collectively to chart the course for the millions. They define and house the ethos and the public sense of the people. It is their expected role to find common cause across professions, vocations, ethnicities and faiths, defining the minimum terms and conditions for the safety, security, growth and prosperity of the community." Furthermore he stated that the elites "define clearly what is lofty, what is noble, what is deserving of honour and how these values can be sustained, preserved and enforced. This is the burden of privilege. The French describes it as “Noblese oblige” --nobility obligates or perhaps more correctly for our purpose, privilege obligates. Society fails when the elite abdicates its role." Based therefore on the recent past of the country, the Vice President lamented that "to a large extent the ethical space has been vacated by the Nigerian elite. In its place are all manner of excuses and false justifications of bad behaviour. Today ethnicity and religion protect corruption and abuse of power. Mediocrity is encouraged by the subjection of merit to variations of quota systems. Quotas are not in themselves wrong, but must be the exceptions not the rule." The second: the discipline of implementation, which encapsulates planning, timeliness and precision. And third: the rigorous enforcement of rules, law and order. "Each of these is founded on ethical constructs that are established, nurtured and protected by the elite. In doing so the elite must understand its responsibility, the obligations that the privilege of education, status and providence confers." "It was the aristocratic elite in the United Kingdom that presented the MagnaCarta Libertatum: a charter of human freedoms that has become the template for constitutional rights anywhere in the world. Those barons, not lawyers, crafted the high-minded words of that charter including those that through the ages undergird the enduring notions of the rule of law and judicial integrity namely: "To none will we sell, to none deny or delay, right or justice." "Similarly it was the American elite that drew up the words of its Constitution and its other documents enabling personal autonomy and free enterprise. The puritans a small but powerful group entrenched the Anglo-American concept of hard work, creativity and trustworthiness, their reward is that the work ethic said to be responsible for the success of the industrial revolution is named after them, 'the puritanical work ethic.' "
"There is very little reason why concepts such as "Omoluabi," or equivalents which conflate notions of a person, character and introspection should not be insisted upon and established. It is my humble submission so, that it is the business of the Nigerian elite through its most revered social institutions to promote the values that are fundamental to development and growth. Policies are often only as good as the character and commitment of its implementers." 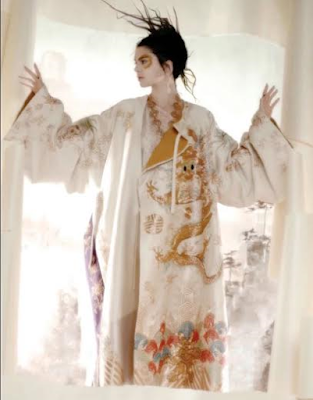 Kendall Jenner served as a muse for Chanel designer - Karl Lagerfeld, in a blurry, artsy spread for the inside spread of V Magazine's summer issue. 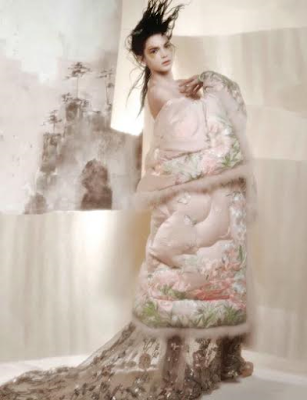 The model strikes different poses in a variety of spring couture from top designers like Dior, Valentino & Chanel. See more photos after the cut. 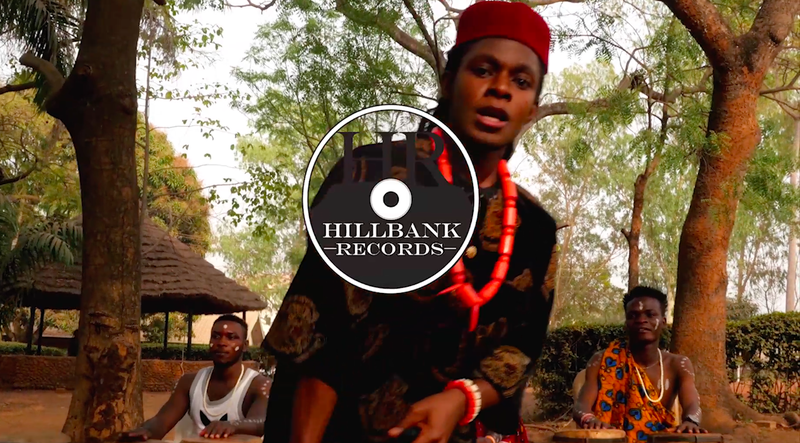 Adeniran Adebowale Azeez, known popularly among his fans as Triple A ( @its_Triple) is currently working on a single titled Sunshine, which is reportedly ready for release and promises to be a groundbreaking effort. 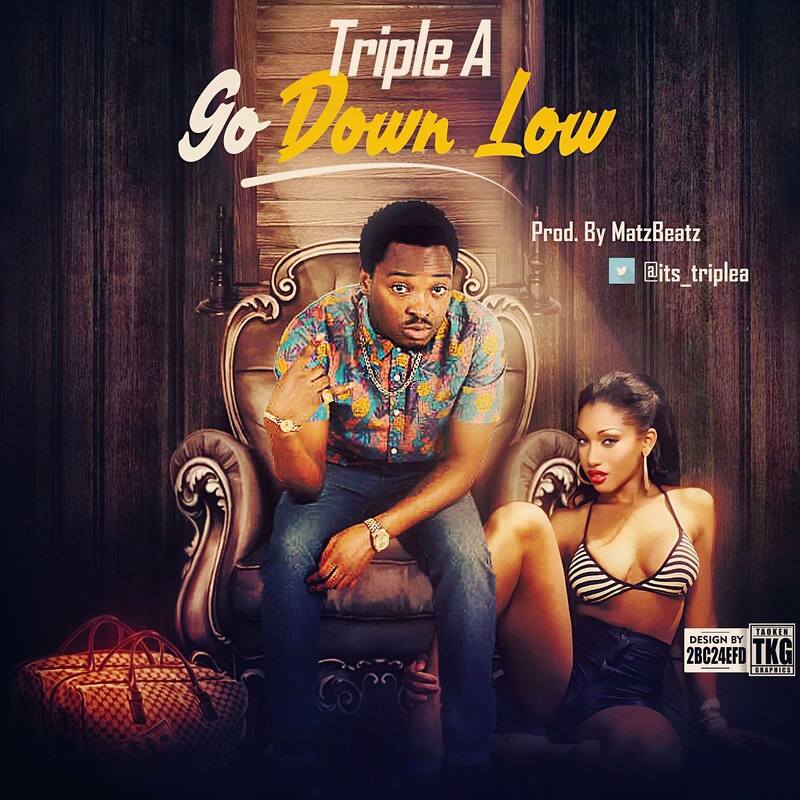 Today he delivers the Party Starter single titled "Go Down Low." 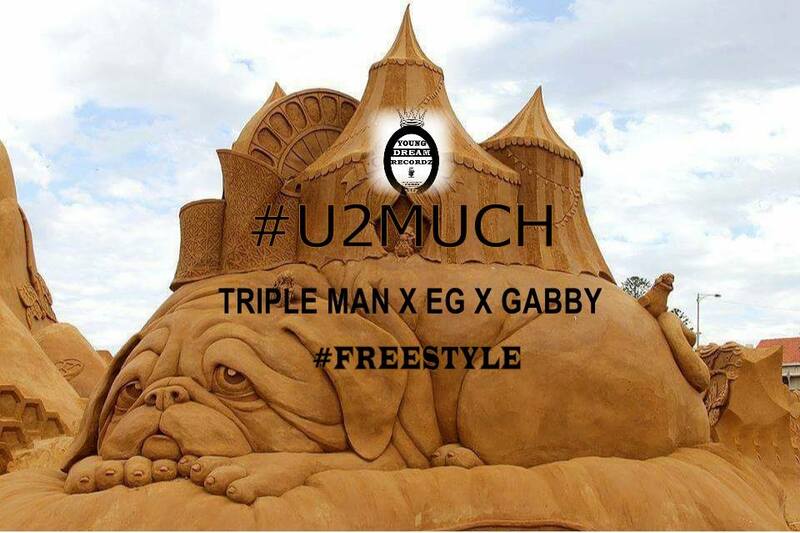 It’s a romantic and soulful song which Triple A garnished with his characteristic heartfelt vocals.